I am an independent researcher and scholar who has published books and articles and lectured at academic conferences for twenty years. Currently I am mostly known for my innovative work on the late date and Greek sources of the Hebrew Bible and on the Dead Sea Scrolls. This web site gives a background on past and current projects , including a detailed outline of my current book with Routledge, Plato and the Creation of the Hebrew Bible . You may also find various professional services that I offer as a researcher, writer, lecturer and editor. I am best known for my research on the circumstances behind the creation of the Hebrew Bible, also known as the Jewish Bible or Old Testament. In my 2006 book Berossus and Genesis, I argued that the very first evidence for the Hebrew Bible was the translation of the Books of Moses into Greek around 270 BCE, the famous Septuagint translation made by Jewish scholars for the Great Library of Alexandria. I proposed that these same Jewish scholars also wrote the Books of Moses on this same occasion, using various Greek sources found in the Great Library. My latest book, Plato and the Creation of the Hebrew Bible , argues that Plato's Laws was one of those sources, pointing out that many biblical laws have their best and often only legal parallel in Plato, corroborating the late date of the Books of Moses. . Plato's Laws also described a program for creating a national library of approved ethical texts that appears to have been the direct inspiration for the Hebrew Bible. I am also working on three additional books on Greek sources in the Hebrew Bible, as well as popular books for a non-academic reading audience to bring my research to the attention of the general public.. I am also available for public lectures on various interesting topics in ancient history. I am currently available for print, radio and podcast interviews, especially in connection with my new book, Plato and the Creation of the Hebrew Bible​ . Interviewers will find useful background information on my biography page as well as on the page devoted to my book. Contact me or my publicist via the contact page . When, Where and Why was the Bible Written? To book a lecture contact me or my publicist via the contact page . I am currently a Featured Author at Routledge. See Religious News Service to view the Press Release on my latest book. 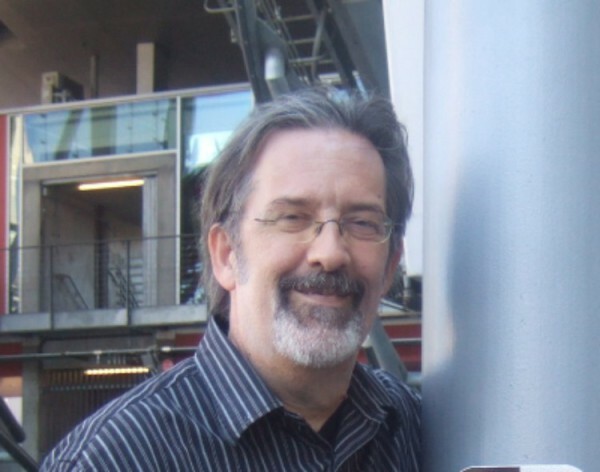 My book Plato and the Creation of the Hebrew Bible is the ongoing topic of Australian blogger Vridar (Neil Godfrey). A compilation of his first eight postings reviewing my book may be found here , courtesy of James LaRouche. On 12/11/2016 a two hour internet radio inteview aired and has now been permanently archived on SOTT Radio Network and on YouTube : "Interview with Russell Gmirkin: What Does Plato Have To Do With the Bible?" My books and articles are also summarized (with some downloadable content) at Academia.edu . I currently have three books in the works, along with a backlog of academic articles on biblical and historical subjects. Plato and the Creation of the Hebrew Bible (New York-London, Routledge, 2016), has just been released for publication and may be purchased online in hardcover or Kindle formats at Routledge and Amazon.com. For a detailed outline of this ground-breaking academic work, see Newest Plato Book . Substantial portions of Chapters 1-3 may be viewed on Google Books . Plato and the Jewish Bible (tentative working title), a version of the above book intended for a general reading audience. I expect to complete this book and find a publisher in 2017. Plato and the Biblical Creation Story: Greek Sources in the Primordial History. I have completed the research and writing for this major academic title, which will explore the Greek scientific sources underlying Genesis 1-2, especially Plato's, Timaeus and the Greek mythological sources underling Genesis 2-11. All that is currently left is swatting footnotes, which I am doing in between making preparations for the September release of my new book from Routledge.